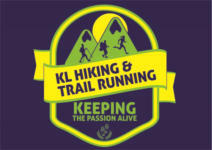 We are the hosts of a non-for-profit hiking group, Kuala Lumpur Hiking & Trail Running. Every Sunday we organise events, catering for all levels of hikers, from sheer beginners to experienced trailblazers. Events are posted at least a few weeks in advance and you will find specific instructions in the write-up. For every hike, we are the last one to leave the venue in order to be sure that everybody made it out safely. Creating an adventurous but most of all a safe hiking experience is our goal..
We are the hosts of a non- for-profit hiking group, Kuala Lumpur Hiking & Trail Running. Every Sunday we organise events, catering for all levels of hikers, from sheer beginners to experienced trailblazers. Events are posted at least a few weeks in advance and you will find specific instructions in the write- up. For every hike, we are the last one to leave the venue in order to be sure that everybody made it out safely. Creating an adventurous but most of all a safe hiking experience is our goal..